It is also known as Slow Waltz or English Waltz depending on locality. The waltz provides the origin of modern ballroom dance in that moved it away from a group sequence of movement to the independent movement of an individual couple, Originating in southern Germany in the 17th century, the popularity of the Waltz dance grew with the music of Johann Strauss and exploded to great popularity in the 20th century. 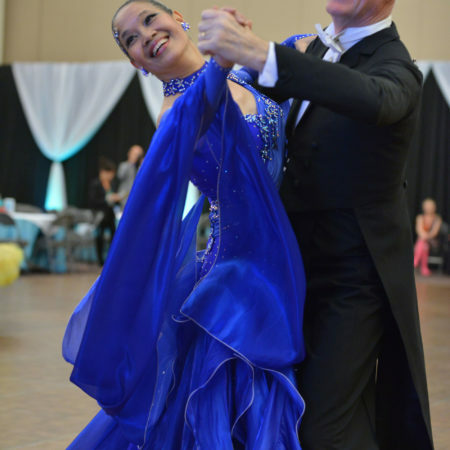 It is the “backbone dance” of the ballroom and is the basis for many dances. 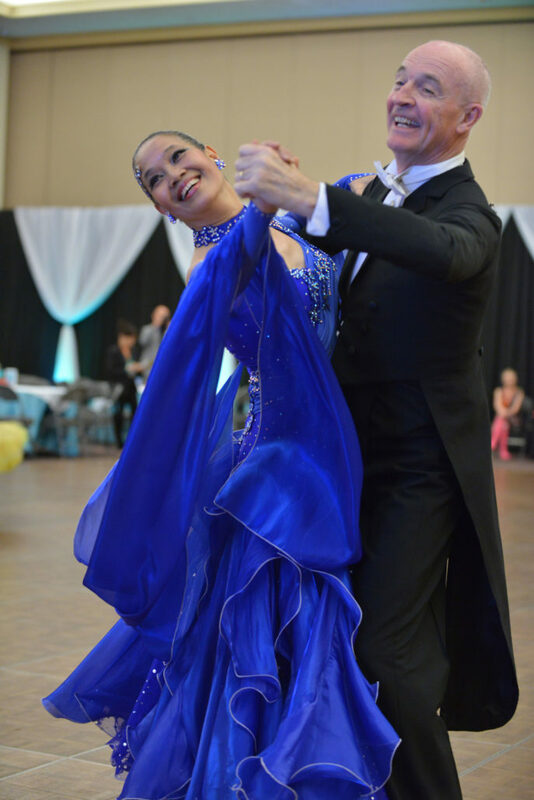 A truly romantic dance, the Waltz is comprised of soft, round, flowing movements. 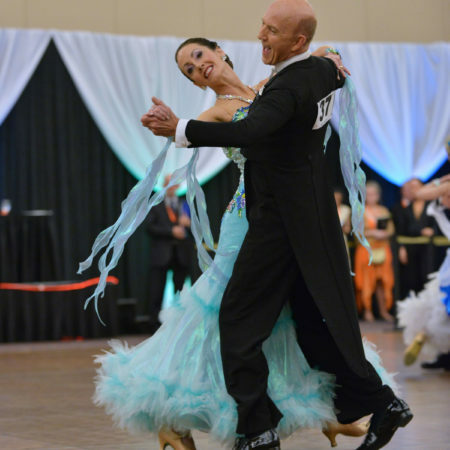 The Waltz is a smooth dance that travels around the line of dance. Characterized by its “rise and fall” action, the Waltz includes a step, slide, and step in 3/4 time. 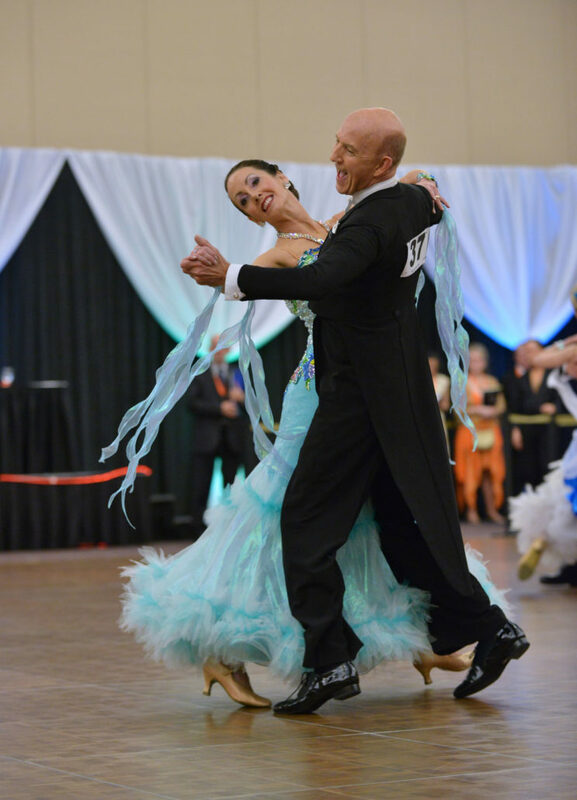 Dancers should move their shoulders smoothly, parallel with the floor instead of up and down. Dancers must strive to lengthen each step. On the first beat of the music, a step is taken forward on the heel, then onto the ball of the foot with a gradual rise to the toes, continuing on to the second and third beats of the music. At the end of the third beat, the heel is lowered to the floor to the starting position.